Welcome to our skin care site where you will find home remedies, product reviews and information about skin care treatments. If you have problems with your skin, suffer from acne, whiteheads, scarring and related problems, you can find effective solutions here! To learn a little more about the information on our pages, check out the very short video! We hope you like our site and if you do, please use the like and share buttons. If you have a favorite product or treatment, please tell us about it by leaving a comment. For those looking for the most effective whiteheads treatments, start by looking at products available to you over the counter. Many people can find relief from these because they often work very well and avoid the necessity for prescription medications. These products work effectively because they help to cleanse the pores and help to reduce the amount of bacteria present in them. By doing this, they work effectively to clear whiteheads and other blemishes and they are often far less expensive than other treatment options. It is important to consider all of the choices available when choosing – but there are a few things to look for when selecting a product. First, be sure your skin is in good health. This can be achieved by using an over the counter, mild cleanser each day. You want the cleanser you choose, to remove as much of the oil and bacteria from the skin as possible. It should have antibacterial qualities but the thing that is absolutely crucial is, it must be mild. Do not use any type of product that is harsh on your skin because excessive drying of the skin’s oils can lead to more problems and damaging the skin surface can cause inflammation, infection and further blemishes. When choosing any type of skin care product, look at the label. Many products have gimmicks to convince you to buy them, but those that work have active ingredients that are proven to work effectively across a range of skin types and blemishes. A good place to start is to look for a product that contains benzoyl peroxide. This ingredient is found in many types of creams and lotions for acne control. It will kill most types of bacteria that cause whiteheads to develop. Benzoyl peroxide is an effective whiteheads treatment. 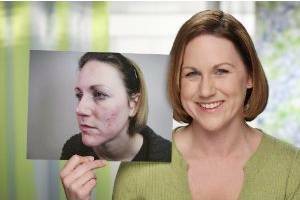 For more information about the range of acne treatments available, visit the BMJ website. Other ingredients to look for in any acne treatment include sulfur, resorcinol and salicylic acid. Each of these products work very well at improving the health of the skin. When looking for a product, it is helpful to get some information from other people who have used a particular brand or product type. If you do not have someone who can give you a personal recommendation, you can find reviews and other information about them online. This can help to narrow down your search for a product that will suit your skin type and the specific problems that you have. It is essential that you get rid of the acne bacteria that builds on the skin and clogs your pores. In some situations, the over the counter product options listed here will not work or will only work partially with limited results. If your condition is significant or severe or you have not found a remedy by treating your skin yourself, head in to see your dermatologist. This can seem a bit of a scary step to take but what consulting a professional can do, is provide you with access to someone who will work closely with you to understand the underlying cause of the acne and offer solutions for its treatment. Generally, a dermatologist treatment prescription may include topical and oral medications that are more potent than over the counter treatments. In some cases, adjustments to hormone levels may be important in order to start clearing the problem. Your dermatologist will recommend the right type of treatment for you after discussing all the options. What works for you is likely to be different from the most effective treatment for someone else. The skin’s makeup, the cause of the development of the acne and the way your skin reacts to various treatment options all play a role in the overall effectiveness of any method used. The good news is that there are products that work very well at curbing the development of these sometimes painful and unsightly blemishes on the skin. Remember that a dermatologist is there to help you and can really help you to find a treatment for your whiteheads if the problem worsens or if you are not getting success treating your skin yourself. Dry and itchy skin can be caused by the plethora of detergents that are present in your home. Dish-washing and floor washing detergents, fabric cleaners, they all carry serious dry skin-inducing agents. Just cleaning your home or washing the dishes can cause itchy skin. Some people are more susceptible to this condition; they can even end up suffering from eczema and dermatitis if their skin is not treated. Detergents are strong lipid dissolvers. They have a natural tendency of dissolving your skin’s healthy oils, as well. Even air fresheners, laundry detergents and floor polishes are included on this list. With regular use, these can even cause irritation and cracked skin. Wear Gloves: Hands tell the age of a person; to ensure that your age is always predicted a decade younger than reality, use gloves! Gloves protect against harsh materials and fight skin irritation. We would recommend using non-latex rubber gloves while scrubbing. Wear a double layer of gloves when scrubbing, i.e. rubber gloves and soft cotton gloves that you use to scrub. Chlorine Water: Chlorine in the pool is a serious skin hazard. Take your swimming regime seriously. Chlorine water dries your skin, burns your hair and leaves your skin in shambles. Use a shower cap for your hair and shower immediately when you come out of the pool to clean the chlorine burned skin. Clean your skin with chemical-free water every time you come out of the pool by taking a shower. Make sure your kids shower right after they come out of the pool with a mild soap and apply generous amounts of glycerin-based moisturizers on their skin. Laser hair removal is a process in which a laser is used to remove unwanted hair on a specific area of the body. The procedure may seem appealing to some women or even men who are tired of the shaving or waxing routine, but the procedure might not be as glamorous as it first seems, and might have unexpected side effects such as breakouts of acne whiteheads in the area treated – it could even be dangerous! Is Laser Hair Removal Worth The Money? In the procedure, a laser beam goes through the skin and singles out each hair follicle, and the heat of the laser damages the follicle and keeps it from growing back. While this sounds quick and simple, one has to wonder: is it really as permanent as advertised, and is it worth your money in the end? It’s important for those considering laser hair removal to do some heavy research before committing to a procedure. In this guest post, author Jo Harris shares her five favorite skin care tips that should help to keep your skin looking great! Extended exposure to the sun causes a host or problems, not the least of which is premature aging. 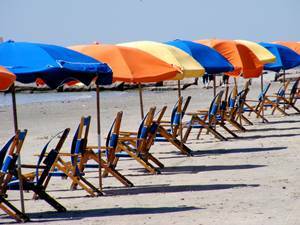 Sun-damaged skin often looks leathery, wrinkly, spotted and otherwise unattractive. Daily use of a cream or lotion with at least SPF 30 will help ward off the sun’s harmful UV (ultraviolet) rays and keep your skin looking healthy and young. Moisturizers hydrate your skin and keep it smooth and supple, minimizing the appearance of wrinkles. Opt for one that performs multiple tasks for maximum benefit. A moisturizer with Alpha-Hydroxy Acids will keep your pores clean and eliminate dead cells. Moisturizers rich in antioxidant Vitamins C and E provide excellent protection from free radicals while improving skin texture and firmness. Eating a healthy diet containing foods rich in antioxidants and zinc is a powerful way to boost healthy skin naturally, from the inside out. Blueberries, for example, are potent antioxidants that fight free radicals. Not only can they prevent aging, they can reverse it! Foods high in zinc, a vital trace mineral, help repair tissues and cleanse the body to keep skin free from impurities. Drinking water is also essential, as it flushes out toxins, clarifying skin in the process. Oily skin is often characterised as being shiny with the sebum produced by the oil producing glands in the pores, and with enlarged, open pores which have been stretched by the accumulation of oil within them. People with oily skin are more likely to suffer with blackheads and whiteheads as a result of having clogged pores. There are many reasons why your skin might be oily. Hormonal changes, either in our teenage years, or for women, before periods can often trigger the skin to become more oily – as can living in a more humid climate. However, the fact that many people with oily skin are surprised about is that they could actually be causing their own problem but using products that are too harsh, stripping the oils from the skin’s surface and causing the oil producing glands to go into ‘overdrive’, trying to correct the drying out of the skin! Skin Care Ingredients – What Does It All Mean? If you have oily skin or have problems with blemishes such as whiteheads, blackheads and pimples, taking extra care when choosing your skin care products can really pay dividends. Knowing the right ingredients to look for can help to ensure that you buy a product that is going to be really effective and can often save you money too. In this article, we provide a glossary of the most common names you will find on the labelling for skincare products – let’s take a look behind the long names and the jargon and find out what skin care ingredients do. [easyazon-image align=”right” asin=”B002K9Z946″ locale=”us” height=”280″ src=”http://ecx.images-amazon.com/images/I/21FuywlDceL.jpg” width=”280″]These act as exfoliants for your skin, helping to slough off those dead skin cells revealing younger looking skin beneath. The beauty of using products containing alpha hydroxyl acids (or AHAs as they are often called) is that there is no abrasive mechanical action needed to exfoliate your skin which can be useful for sensitive skins and exfoliating treatments for the delicate under eye area often include AHAs for this reason. Pictured (right) is Naseberry Eye Exfoliant, an organic product, packed full of goodies for the delicate skin of the eye area – and our favorite product for the job! Antioxidants work by neutralising free radicals which destroy skin cells. Even if you do not see the word antioxidant on the labelling, ingredients such as vitamins A, C and E and green tea have an anti-oxidant action in skin care products. Are you over the age of 18 and are disappointed that you still have acne? Or perhaps you never struggled with acne as a teenager and now that you’re a full grown adult, it strikes you now, leaving you feeling baffled and frustrated. 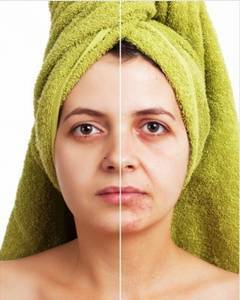 Regardless of your personal situation with acne, it is no rare thing to have acne at any age. Although acne is more common among adolescents, it also affects 50% of women and 25% of grown men. Check out this infographic to discover what poor skin care habits could be exacerbating your acne. Acne-stricken consumers spend over 1.4 billion dollars on acne treatment every year in attempt to get rid of their acne once and for all. If you are one of those consumers, perhaps you are discouraged that you have not yet encountered a cure in a jar. Unfortunately, there is no cure for acne, but there are effective treatments on the market to keep it under control. However you as the acne sufferer also play a large role in preventing the breakouts from getting worse. Our infographic will help you to discover – and remedy the poor skin care habits that are making your acne problem worse. Want more information to help you conquer Acne? Find out how you should be washing your face – a helpful article with useful tips! Find out what ingredients to look for in skin care products for Acne in our guide. Save money on your skin care regime by using some of our home remedies for whiteheads and other acne blemishes – you will find some great tips here. Check out more great acne treatment information from Mario Badescu Skin Care. Acne skincare products can be overwhelming. From drugstore options to luxury brands to celebrity-endorsed products to new, supposed “breakthrough” launches, the market is seemingly oversaturated with what feels like too many options. Finding what works best for you, be it a spot treatment or an entirely new regimen, is no easy feat. It takes patience and time: a fair amount of trial and error will be involved for positive, long-term results to be seen. There is no easy way to find the miracle worker (no such thing exists anyway), but there is a means to narrowing your search. Always read the label: the key lies in the active ingredients. Acquainting yourself with what each main ingredient is and does is fundamental to the search for the right cleanser, toner, moisturizer and spot treatments. Benzoyl Peroxide and Salicylic Acid are the first to come to mind given that they are the ingredients most commonly associated with anti-acne products. The two are often put head to head in a Benzoyl Peroxide vs. Salicylic Acid type of situation, when in reality, there isn’t one that is “better” than the other. These are two differentingredients that happen to help treat acne; the one you choose is simply a matter of which works better with your skin. Benzoyl Peroxide is an antibacterial ingredient that penetrates deeply into the pores to kill the bacteria that causes acne. Although concentration may amount up to 10%, research shows 2.5% concentrations are just as effective without being as stripping on the skin as a stronger formula would be. Even so, it is more than likely the skin will experience dryness. Always work your way upwards in strength, keeping in mind that gentle can be effective, and achieving good skin takes both patience and diligence. Over-drying the skin will only further irritate the skin and cause more breakouts. Salicylic Acid’s gentler nature has made it the preferred ingredient in anti-acne products as of late. While it may still cause mild dryness in some skin types, it is far less stripping when compared to Benzoyl Peroxide. Salicylic Acid is a beta hydroxy acid that promotes cell turnover; it works to gently dissolve away dead skin cells, dirt, oil and any other residual buildup as a traditional exfoliant would sans the graininess. Blackheads, whiteheads and blemishes are reduced to decrease chances of inflammation for a clearer complexion. You have a job interview tomorrow morning and a date in the evening. As part of your preparations, you drop by the supermarket to get a new toothbrush and your favorite soap, shampoo, and mouthwash. You go for a night jog and pick up your dress or suit from the dry cleaners. You head home, have dinner, polish your shoes, and hit the sack early. You wake up before the sun rises so you’ll have plenty of time to prepare. A zit or pimple on the nose is exactly what you don’t want to find on the morning of a job interview or important date! The first thing you do is to go the bathroom to wash your face. To your horror, you see a new, angry zit staring right back at you! The excitement is replaced by panic. It’s possible to reschedule the interview but you don’t want to cancel the date. You feel like you’re a teenager again because acne has once again dealt a blow to your confidence and self-esteem, and ruined what could have been a very good day for you. Acne is a common skin condition that causes pimples or zits (blackheads or whiteheads) as well as hard, painful cysts. It can appear not just on your face but also on your back, chest, neck, and shoulders. The condition tends to be hereditary and can be triggered by hormonal changes, the menstrual cycle, pregnancy, stress, the use of certain personal care products, or if you take certain drugs like birth control pills and steroids. Whatever the cause, acne is a burdensome condition and can take a lot out of your social life because it makes you feel embarrassed and more self-conscious. Dermatologists usually recommend either oral or topical treatments for pimples. Antibiotics like doxycycline, erythromycin, and minocycline are used to reduce bacteria and inflammation. However, antibiotics are not effective against acne and often do more harm than good because they also kill the beneficial bacteria in your body and can cause harmful side effects. Doxycycline is associated with decreased appetite, diarrhea, photosensitivity, and vomiting. Erythromycin can cause dizziness, headaches, upset stomach, and vaginal itching. Minocycline may cause hearing problems, lightheadedness, and rectal/vaginal itching. Healthy, radiant skin does not have to be expensive. All too often, we find ourselves looking in the mirror, wishing for flawless skin, purchasing pricey treatments and never seeing positive results. As a country, we spend billions of dollars each year on products, hoping to achieve a beautiful look. If one product doesn’t do the trick, we upgrade. We spend more money and more time, trying products that never provide us with the beautiful skin we want to be seen in. Making some simple lifestyle changes could make all the difference to the health of your skin. [easyazon-image align=”right” asin=”1905744501″ locale=”us” height=”250″ src=”http://ecx.images-amazon.com/images/I/51gPbpU%2Bp3L.jpg” width=”162″]What if some simple lifestyle changes were all you needed to feel comfortable in your skin? Paying better attention to what you eat and spending your time exercising will allow your skin to shine. Simple dietary and routine adjustments are affordable ways to achieve beautiful skin from the inside out. Our skin thrives on natural sources of vitamins and minerals. It also thrives from a good workout. Knowing these two ideas are true, you can only come to one conclusion; a healthy diet and regular exercise leads to positive changes in your skin’s appearance, without the huge price tag. Click the image for more information or click here to view more books on this topic [easyazon-cta align=”right” height=”42″ keywords=”healthy skin diet” key=”amazon-us-tall-orange” locale=”us” width=”120″]. Tretinoin or Retin-A as it is also referred to, is a very effective treatment for both open comedones (blackheads) and closed comedones (whiteheads). It works because the molecules of vitamin A are so tiny that they can penetrate down into the lower layers of your skin. Surprisingly, for a product which is so effective at treating acne that might be thought of as a problem particularly affecting younger people, it is also approved for use in treating signs of skin-aging by the FDA. Tretinoin could help with blackheads and whiteheads and may also help with fine lines and wrinkles. Tretinoin will help to even out skin tone, effectively treating those mottled pigments that affect aging skin as well as improving skin texture and reducing the appearance of wrinkles and fine lines. So, if you are a sufferer from adult acne, this product could have the double benefit for you of not only treating your blackheads and whiteheads, but also making your skin look more radiant and more youthful too! Applied to your skin, this product works by speeding up the turnover of skin cells at the surface and revealing the fresher, younger skin cells below. Unfortunately, this does not come without some side effects and many people experience sensitivity and skin flaking and in some cases irritation ranging from mild to quite severe during the first few weeks of use. If you are a teenager with oily skin, prone to acne breakouts, blackheads and whiteheads, the chances are that you are looking for the best way to remedy the problem without spending a lot of money. Dermatologist and beautician treatments are effective and make a wonderful treat. To be really effective, they need to be used regularly which may be out of your price range at this time in your life. In this article we are going to look at how to give yourself a simple, but effective facial at home and improve your skin, whatever your skin type. If you were to go to a dermatologist or beautician to get a facial treatment, the chances are that only very mild ingredients and products would be used on your skin. If you want to give yourself a facial at home, this works in your favour as all the ingredients you will need are readily available. So, set aside a little time to pamper yourself and we will look at the steps required to give yourself a salon-quality facial at home and leave your skin looking and feeling much better! Before we start, be sure you know your skin type. Because you are looking for a facial to improve acne blemishes and breakouts, I am assuming that it is unlikely that you have dry skin. However, your skin may be oily, combination or sensitive. Let’s take a look at the implications. Ok, so you have been washing your face by yourself since your Mom let you do it on your own – right? So maybe you might be a little insulted if someone told you that you were doing it wrong and that making a few changes to this simple routine could have great benefits if you are currently suffering from blemishes such as whiteheads and blackheads on your face! 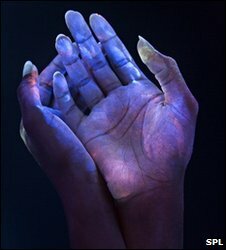 This image from the BBC website shows bacteria under UV light which are invisible in normal daylight. First of all, do you wash your hands before you begin your face washing routine? If not, just take a minute to consider that you could be transferring bacteria from your hands to your face, at the very time when you are trying to cleanse the facial skin as efficiently as possible. So, before you start, wash your hands thoroughly with hot water and anti bacterial soap or cleanser. Then rinse the water out of the wash basin and dry your hands on a clean towel. Now you are ready to start washing your face! Next thing, do not use hot water on your facial skin. If you want to open your pores before washing, you can do this by steaming and it is really easy to prepare your face for a really deep cleanse by this method but it is not something you should do every day – every other day maximum and probably once or twice a week is about right, especially if your skin is sensitive. Many people like to splash cold water on their skin after washing to help close the pores again and this is a good idea if you can bear it! One of the top searches online is for products to treat and remedy acne blemishes including pimples, blackheads and whiteheads. However, preventing future outbreaks is even more important and should be carefully considered when thinking about getting rid of existing skin problems. Below, you will find four ways that you can help your skin to recover from current blemishes and prevent future ones. None of these steps is going to perform an overnight miracle on your skin, but using them in combination and regularly should produce good results in a relatively short time. Some people with problem skin feel that they must wash and wash and wash their faces in order to get rid of all the excess oil. However, this is actually counter-productive and not at all helpful! Not only can this over-zealous cleansing cause irritation and inflammation, damaging the surface of the skin and giving acne-causing bacteria the opportunity to get established, it can also trigger oil producing glands to produce even more oil to compensate for the artificial drying out of the epidermis that is being caused by stripping the oils through too much washing. Both can cause even more blackheads, whiteheads and infected pimples. You should only use very gentle products on your skin and never wash your face more often than is recommended on the product packaging. This is usually twice a day, morning and night. [easyazon-image align=”right” asin=”B007RHZRWA” locale=”us” height=”250″ src=”http://ecx.images-amazon.com/images/I/41NvALGOXeL.jpg” width=”127″]Exfoliating is a great way to prevent skin pores from becoming clogged. Exfoliation helps with this because it sloughs off the dead skin cells on the surface which would otherwise end up clogging up the pores and providing a meal for those acne bacteria. The other benefit for your skin is that removing this outer layer of dead cells, reveals younger cells underneath and this can transform your complexion from looking dull and lifeless into a fresh and glowing one. Does Makeup Make Blemishes Worse? A question that many young women are asking is whether wearing makeup actually makes their blemishes (pimples, whiteheads and blackheads), worse. 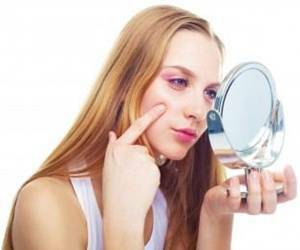 It is a tricky situation, especially as many are using makeup to conceal or disguise those blemishes in the first place. The answer is, yes and no! Firstly, there are some products that can make breakouts worse, so if you have experienced a worsening of your skin problems since starting to use a new product, it would be worth stopping for at least a week to see if matters improve. A good tip when you buy any new makeup or skin care product is to just dab a little behind one ear, or in the crook of your elbow and leave it on overnight. If there is no sign of irritation in the morning, you are probably safe to try using it on your face. Non comedogenic products are the ones to look for if you have problems with acne as this term means that the makeup will not block your skin pores. Also, check the packaging of any skin care or cosmetic product for the words fragrance free and/or hypoallergenic as these terms give reassurance that the product is unlikely to irritate your skin. If you were to single out one ingredient to avoid in skin products that is the most likely culprit for causing blemishes, it would be lanolin which, although it is a natural product derived from the wool of sheep, is often responsible for allergic reactions. If you are looking for natural remedies to combat your whiteheads and other skin blemishes, there are many natural products that are effective astringents and antiseptics. 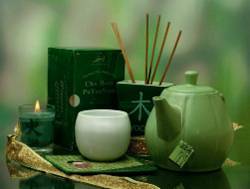 Tea Tree oil is well known and commonly used but in this article, I wanted to talk about the benefits of using two other natural ingredients, Witch Hazel and Manuka Honey. Witch Hazel is similar to Tea Tree oil in that it is a natural astringent but some people prefer it. It acts in a similar way to salicylic acid, removing surplus oil and soothing inflammation of the skin. It has been used for hundreds of years in America, ever since the earliest New England settlers learned how to make the extract of witch hazel from Native Americans. Witch Hazel is a shrub and the extract used to treat inflammation of all kinds, even tumors was made by boiling the woody stems. According to Wikipedia, it was a missionary called Dr. Charles Hawes who discovered that by distilling the steam from boiling the twigs produced a more effective product and this, known as “Hawes Extract”, was first sold way back in the mid 1800s. [easyazon-image align=”right” asin=”B004TH71W0″ locale=”us” height=”160″ src=”http://ecx.images-amazon.com/images/I/414CQ64FxkL._SL160_.jpg” width=”107″]Witch Hazel has many uses, including on sore places, bruises, insect bites and poison ivy. Many non-prescription remedies for haemorrhoids (piles) and varicose veins also include this product. For skin care, it has really excellent antioxidant and astringent properties so it is excellent for treating all types of skin blemishes. Some men prefer to use it as an aftershave lotion to avoid whiteheads after shaving. Commercial preparations include it in toners, moisturizers and in the form of a blemish stick which is particularly effective on individual spots and whiteheads. You can view the range of witch hazel products at Amazon by using the link. [easyazon-image align=”right” asin=”B001PMNWB6″ locale=”us” height=”160″ src=”http://ecx.images-amazon.com/images/I/41tLA3XDTsL.jpg” width=”130″]As with any skin preparation, it is always worth checking with a pharmacist before using Witch Hazel for the first time. It can be applied to patches of blemishes using a cotton wool pad and individual spots can also be treated with a cotton bud. The blemish stick mentioned earlier, is called a ‘Witch Stick’ and this is a very convenient way of using this natural product as it can be popped in a purse or bag and applied at the first sign of a spot which is always the best method of ensuring you get rid of it as quickly as possible! [easyazon-image align=”right” asin=”B000VK08OC” locale=”us” height=”250″ alt=”Manuka Honey” src=”http://ecx.images-amazon.com/images/I/51G1XtmqFrL.jpg” width=”250″]If you have never heard of this very special honey before, you should try some to eat, it really is delicious (which is another great property!). It comes from New Zealand and the bees that make it have gathered their pollen from the native Manuka plants. This honey is very special because it has particularly good antibacterial and anti-oxidant properties and is excellent for reducing inflammation. All honeys share these properties, but Manuka seems to be particularly good at fighting the bacteria that cause inflammation leading to whiteheads and pimples. Not all Manuka honey is created equal! Some of the cheaper ones have a lower UMF rating. This stands for Unique Manuka Factor and the higher the rating the better when using on your skin. The honey is included in several commercially available creams, scrubs, soaps and toners but you can just use the plain honey if you wish. Add a few drops of the honey to your facial wash as the antibacterial action of the honey can enhance the effectiveness of any product it is added to. Be sure to wash it off thoroughly with warm water afterwards. The honey can also be made into a soothing face mask to relieve irritation and inflammation. I like to use it mixed with some ordinary oatmeal (cooked like you were making breakfast oatmeal and then cooled). I find the mixture of the oatmeal and the Manuka together is particularly effective as it leaves my skin feeling lovely and soft and smooth as well as soothed. Just take about two tablespoons of the cooked oatmeal and mix with about two teaspoons of honey, apply this mixture to your cleansed face and relax for around fifteen minutes. If you want to treat individual blemishes with this honey, all you need to do is to dab a little on with a cotton bud. This is probably not practical unless you are at home – and you do need to be careful about it attracting insects in the summer! See the range of Manuka Honey available from Amazon with this link. I hope you will enjoy trying out both Witch Hazel and Manuka Honey as two natural alternatives to treat whiteheads and other acne blemishes. I was interested to read this press release from The Harley Medical Group who are UK experts with 28 years’ experience in non-surgical treatments. It seems that although skin acne is largely thought of as a problem affecting teenagers, 50% of all women and 25% of men will have acne at some time in their adult lives. Today with more people experiencing the on-set of acne in their 20’s and 30’s, adults are increasingly searching for effective solutions to help combat the condition. The Harley Medical Group have launched their debut skincare range, comprising 12 dermatologically tested products which have been tested on patients across the UK. Designed as a proactive daily skincare regime, the range is also recommended to be used in conjunction with prescribed skin treatments, available from each of their 31 clinics nationwide. The main part of their press release, published below explains very well, the reasoning behind the timing of the launch and the great range of products now available. To find out more about any of the products, visit their web site using the link at the foot of the page. “People most affected by acne will have increased sensitivity in their sebaceous glands, which produce oil. When skin cells become blocked the sebum oil and dead skin cannot escape, resulting in an inflammation around the blocked cells. Bacteria can build-up and in turn produce blackheads, whiteheads and angry, red spots. Ultra Anti-Bac Cream (£29 for 30ml) – The cream includes a combination of natural ingredients formulated to help reduce skin breakouts and the appearance of pimples, pustules and comedones for oily skin types. This cream will help calm the skin as well as reduce the amount of sebum produced. Apply twice daily. Gently rub the cream into the skin on acne affected areas, with attention around typically oily areas such as the nose and chin. Gentle Cleanser (£26 for 200ml) – This mild and gentle sweet orange cleanser helps to boost skin cell turnover, help dead skin escape and keeps skin fresh and clear. The orange oil is also shown to relieve nervous tension and stress. Use twice daily, once in the morning and once in the evening. 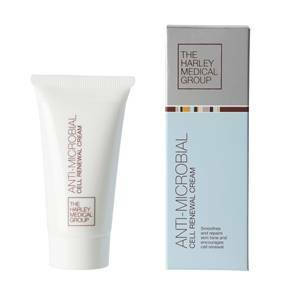 Anti Microbial Cell Renewal Cream (£32 for 30ml) – Ideal for difficult blemishes, the cream contains a blend of active ingredients containing botanical seed extract that increases blood flow and helps to recover skin cell turnover. Apply a small amount to acne affected areas and allow the cream to fully absorb. Replenishing Exfoliator (£35 for 50ml) – Delivers collagen into the skin resulting in a firmer regenerated skin tone. The Vitamin C derivative and Beta Carotene help to promote collagen formation whilst the natural bamboo exfoliator gently removes dead skin cells leaving smoother softer skin. Mario Badescu Drying Lotion is a spot treatment formulated with Calamine and Salicylic Acid to treat whiteheads quickly and without any fuss. Whiteheads, which are sometimes referred to as milia, are those tiny white bumps that appear under the skin and then stubbornly stick around. They can be difficult to get rid of because they are under the surface of the skin (unlike blackheads, which are very similar, but dark in color because they have been exposed to the air). Many factors can lead to whiteheads. If you have an unhealthy diet, do little or no exercise and do not follow a good skin care regime you are likely to suffer from pimples in one form or another. It is so important to keep your skin as clean as possible, because as soon as dirt, dust, excess oil and dead skin cells work their way into your pores, they cause blockages and attract bacteria. Pimples can be difficult to get rid of, so prevention is better than cure! Drink lots of water, eat plenty of fresh fruit and vegetables and do all you can to keep toxins out of your body. Some people are genetically prone to whiteheads and other blemishes, in which case it can be hard to prevent them from appearing, but luckily there are lots of great products that can help to get rid of them – such as this lotion from Mario Badescu. Dip a cotton swab into the lotion. Dab it onto the pimple. Wash the lotion off the following morning with warm water and a gentle cleanser. Sibu Sea Buckthorn Seed Oil gets great reviews from users who rely on it to clear their skin of acne blemishes, in particular blackheads and whiteheads. It is a completely natural skin treatment, containing nothing but 100% CERES Certified** Organic Sea Buckthorn Seed Oil. Those irritating little bumps under the surface of the skin appear as a result of clogged pores. Excess sebum (skin oil), dirt and dead skin cells get trapped and create a breeding ground for bacteria. If you are not aware, the difference between blackheads and whiteheads is that blackheads are exposed, while whiteheads are trapped under the top layer of skin. It is possible to suffer from both of them at once, and what they have in common is that they are very stubborn and difficult to get rid of! 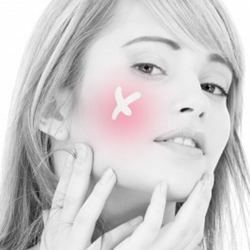 As well as keeping your skin scrupulously clean, eating a healthy diet and drinking plenty of water, the key to eliminating this type of skin blemish is to find a product that makes the removal process easier. For many people, this product is Sea Buckthorn Seed Oil. Cleanse your face as normal. Turn the bottle upside down until a small amount of oil is in the palm of your hand (around the size of a dime is about right). Rub your palms together so that the product is dispersed across both of them. Gently massage it into your skin. Don’t forget your neck, as this product also as a softening, anti-aging effect. Leave it to absorb before applying makeup. This could take up to half an hour, so the best time to apply it is before bed, rather in the morning. If you have been having problems with a crop of those little white spots, called Milia, under your eyes, here are some tips for how you could get rid of them. First of all, you really should take a two-pronged approach. The first element is more concerned with teaching yourself what to do to minimize the likelihood of milia appearing in the first place, especially in the eye area as there is often a specific reason for these. The second element is being aware of the correct, safe way of removing the milia that appear in the delicate skin beneath your eyes. Follow our advice below. Some people refer to two types of milia: primary and secondary – you should also be aware that these are also referred to as whiteheads and the two terms seem to be interchangeable. Primary milia are the ones caused when dead skin cells become trapped in the pores. This type is very common in newborn babies as well as adults. Secondary milia occurs when the skin’s ducts suffer damage from a condition such as poison ivy – and this type is unlikely to be the sort that you have if they have developed in the area under and around your eyes. Knowing the likely causes is an important part of learning how to get rid of milia. Normally they appear as a result of a few factors. Some people are more prone to them than others, which simply comes down to genetics! Another common cause is too much sun exposure, as this makes the skin thicker and tougher, making it more difficult for dead skin cells to remove themselves naturally from the glands. Certain skin products may also lead to these little white bumps. Topical steroids and heavy, rich eye cream and moisturizer are common culprits. Quite simply, anything you apply to your face that is too heavy or comedogenic (likely to clog the pores) may trap the dead cells and oil. If you avoid too much sun and avoid using heavy eye creams and skin care products and still have milia, you need to know the best removal method. You may have come across websites with step-by-step guides to extracting milia at home with a needle, but in our opinion, you should never attempt this. The risks are just too high – you could cause serious damage to your skin and end up with scars. Any extraction procedure should only be carried out by a qualified, experienced professional. As the skin around the eyes is so delicate, some dermatologists will not extract whiteheads in this area using this method either, and may suggest a chemical peel or microdermabrasion procedure as a less risky alternative. You can actually carry out something similar at home, and there are a wide range of good products available. If you have any concerns, however, you should always speak to a dermatologist before taking any action. The most important thing to remember when trying to get rid of whiteheads is to keep your skin scrupulously clean. Whiteheads, blackheads and other types of pimples are caused by blockages of sebum (skin oil), dirt and bacteria in the pores. By removing as much dust, grime and bacteria from your face as possible, you will greatly reduce the risk of pimple breakouts. A growing number of people are turning to home remedies for whiteheads as gentler alternatives to harsh chemical products. If you have sensitive skin but still suffer from whiteheads (also known as milia), you may find a home remedy to be very successful. 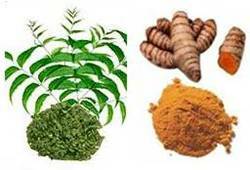 If you are planning to make your own home remedy, there are some specific ingredients you should use for your treatment to be successful. You may be wondering, what do these particular ingredients have that make them suitable for getting rid of whiteheads? Some of them, such as lemon juice, contain acids (fructose, glucose, pectin and fruit acid) that stimulate collagen and elastin, which helps maintain good skin. Lemon also has an anti-bacterial effect which helps to keep the skin clean and fresh, and prevents whiteheads and other types of acne from forming. Mix one part lemon juice with one part groundnut oil and apply it to the affected part of your skin. 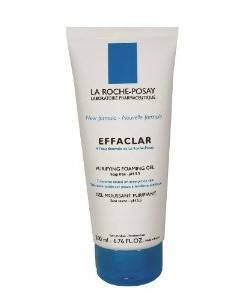 For treating whiteheads without loading your skin with harsh ingredients, La Roche-Posay Effaclar Purifying Foaming Gel could be what you are looking for. By gently cleansing the skin it removes bacteria, grime and oil without causing dryness. It is recommended for all skin types, including sensitive skin. If you have sensitive skin you probably find that most skin care products formulated to remove whiteheads are too harsh for you. Alcohol and Salicylic Acid are common ingredients in these products, both of which are know to dry out the skin and irritate sensitive complexions. This La Roche-Posay product does not contain alcohol, soap, artificial colors or parabens. Apply a small amount of the gel to the palm of your hand. Add a little water and rub your hands together to create a foam. Massage the foam gently into your face, using small circular motions. Pay close attention to areas affected by whiteheads. Rinse your face thoroughly with warm water until all traces of the product are removed. When it comes to whiteheads removal, prevention is definitely better than cure! By following a careful skin care routine, you can stop them forming in the first place. First of all, you need to clean your face every morning and every evening with products that are suitable for your particular skin type. Unless you have extremely sensitive skin, use a cleanser with salicylic acid or alpha hydroxy acid, because these are two of the main pore-unblocking ingredients. In addition to cleansing, take the time to exfoliate your skin on a regular basis. Aim for at least twice a week. Again, if your skin is very sensitive, only do this once per week. There are lots of great exfoliating products on the market. Whichever one you choose, apply it to your entire face and massage it into the skin with gentle, circular movements. Pay close attention to those parts of your face that suffer from whiteheads the most – typically the forehead, nose and chin. [easyazon-image align=”right” asin=”B000052YOX” locale=”us” height=”160″ src=”http://ecx.images-amazon.com/images/I/414bYlTS%2BFL._SL160_.jpg” width=”160″]You may be surprised to know that moisturiser is part of your whiteheads removal routine, but it is important that you do not skip this step, as using cleansers and exfoliators can really dry your skin out. Again, use a moisturiser that is appropriate for your skin type. Top Tip: When looking for a moisturizer, choose one that specifically states ‘non-comedogenic’ – use this link to view a range of non comedogenic moisturizers at great prices on Amazon. [easyazon-image align=”right” asin=”B00005A9WP” locale=”us” height=”160″ src=”http://ecx.images-amazon.com/images/I/41YSNKJ9PHL._SL160_.jpg” width=”147″]Every week, steam your face to open up your pore and give your skin a deep cleanse. This will unclog the pores and dislodge any pore-blocking debris, such as bacteria, grime and dead skin cells. A deep cleanse also softens the skin, making it easier to remove impurities when you perform your regular cleansing. It is really simple to deep cleanse your skin. Simply hold your face a few inches above a large bowl or basin of hot water, with a towel over your head to trap the steam. Stay there for a few minutes, taking care not to burn your face. If you want to know how to treat whiteheads and prevent them from coming back, you need to identify a powerful skin care product that will get to work quickly. 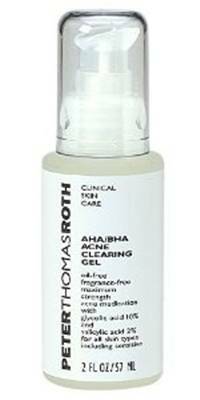 For many people, this product is Peter Thomas Roth Acne Clearing Gel. 2% Salicylic Acid (BHA) (maximum strength), which helps to loosen oil inside the pores and stops further pimple breakouts. This is a powerful medicated treatment, so care should be taken when applying it to the skin. It should only be applied to highly congested areas (i.e. areas with lots of whiteheads). Cleanse your skin thoroughly, removing all traces of makeup. Apply a very thin layer of the gel to your whiteheads before going to bed. Do this every second night, then gradually increase to one application every night. If you suffer from severe whitehead breakouts, apply twice per day. If your skin becomes excessively dry, starts to peel or becomes irritated, reduce the application back to once per day or every second day. You are not alone in trying to work out how to treat whiteheads. Those annoying little white bumps under your skin are experienced by millions of people all over the world. They are also known as milia and are caused by a build up of old skin cells, bacteria and oil. Whatever your age or skin type, nobody is immune from them. The Gunilla of Sweden Lerosett Mask is recommended by skin care experts and dermatologists for milia removal and the treatment of other skin problems. It is clay based with 100% natural active ingredients, meaning it can be used alongside other skin care products and therapies. Some people may use Lerosett in the evening and apply Benzyl Peroxide in the morning. It contains no parabens, dyes, chemical or synthetic additives. As well as being an effective milia removal treatment, Lerosett can be used to treat blackheads, sebaceous cysts and congested skin. It works by removing dead skin cells, softening sebum (skin oil), normalising the sebaceous oil glands, and getting rid of the bacteria-breeding ground that leads to pimple breakouts and blemishes. [easyazon-image align=”right” asin=”B000MC7RD4″ locale=”us” height=”400″ src=”http://ecx.images-amazon.com/images/I/31pMVQqUwOL.jpg” width=”124″]Use Lerosett as a combination wash and mask twice per day until skin is clear. Wash your skin with warm water and pat dry with a soft face cloth. Apply a thin layer of Lerosett and relax for 20 minutes. You will feel the mask tightening on your face, which is completely normal. After 20 minutes, gently wash it off with warm water. Rinse your face until all product is removed. Apply a generous amount of moisturiser after using the mask. Clay masks can be dehydrating, so this step is important. Alternatively, apply Lerosett as a spot treatment on problem areas. After skin is problem-free, use it once or twice per week to prevent further breakouts. Take a look at the improvement in this lady’s skin after using Lerosett – this is not a commercially-made video – just one person’s ‘real life’ experience of using the product. Verilux Clearwave Phototherapy for Acne System is a revolutionary acne treatment. If you suffer from breakouts and have tried different topical treatments that have not been successful, this Verilux treatment could be your passport to clear, blemish free skin. Using phototherapy for acne is becoming more common as a growing number of industry experts and dermatologists recommend it. The Verilux Clearwave Phototherapy System for Acne is FDA-approved to treat mild to moderate acne. It is completely pain-free and simple to operate. It works by dispensing therapeutic blue light in specific wavelengths to whatever skin area you need to treat. Portable and lightweight, it is easy to hold by hand, allowing you to target the spots that need it most. 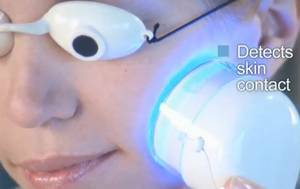 As soon as the system detects the skin, it applies blue light for three minutes to destroy bacteria in the pores. Dermify Acne Treatment is a 100% natural, organic, 3-in-1 acne solution consisting of a cleanser, facial mask and spot treatment. This is exciting news if you suffer from whiteheads and other acne blemishes and breakouts but want to treat them without relying on synthetic chemicals (whiteheads are also known as milia). This product is free from soaps, sulfates, benzoyl peroxide and salicylic acid. The prime ingredient, Sulfur Colloid, is FDA-approved as a treatment for acne. Dermify states that this product can give you acne free skin in a matter of days. Can it really live up to this claim? [easyazon-image-link asin=”B00355AY1C” alt=”Dermify Acne Treatment” src=”http://ecx.images-amazon.com/images/I/31widAXlHxL.jpg” align=”right” width=”333″ height=”500″]As a daily cleanser, apply it twice a day. Apply the cleanser with gentle, circular movements, taking care not to get any around your eyes. After one minute, rinse it off with lukewarm water. Pat your face dry with a soft towel. As a deep-cleansing mask, apply it three times per week. Apply an extremely thin layer on your skin, avoiding the eye area. Leave it on for 20 minutes, then rinse thoroughly. As a spot treatment, apply a small amount directly onto a pimple, using a cotton swab. Apply it before going to bed and leave it on overnight. If you are looking for the best method of milia removal, you will already know that ‘milia’ is another term for whiteheads, those little white bumps that appear under the surface of the skin. .
You may be surprised to know that most people are unfamiliar with the term milia, which is actually just another word for whiteheads – those little white bumps that appear under the surface of the skin. When skin cells and sebum (skin oil) gets trapped under the skin’s surface, the pores become blocked. This blockage manifests itself as a deep set white bump. It is most common around the eye and cheek area, but can occur anywhere on the face. Sometimes (if you are lucky!) milia removal happens through the natural exfoliation of the skin, however in many cases they stubbornly stay put and it can take some effort to persuade them to leave! If you are prone to blocked pores, exfoliation should be your new best friend! This is the best way to keep the surface of the skin smooth and free from blockages, and can be done very simply and affordably. If you get into the habit of applying a mild exfoliating scrub a couple of times a week, you should quickly notice a difference in the condition of your skin. If you are in search of effective acne whiteheads treatment, try UNT skincare products! Presently UNT is a bestselling skincare brand with customers spread over 91 nations who are currently using their products to treat skin poblems. This company has been providing skin care products ever since 2004 and many are medical-grade treatments. Below, we review our favourite products from UNT that play an excellent role in ridding people of the acne and whiteheads on their skin. The UNT Acne Med Anti-acne Serum is the first of the products on our list for the treatment of acne, whiteheads and blemishes. The cycle of breakouts will be effectively diminished by the 10 key ingredients contained in the serum. The serum is capable of healing and lightening scars. Excessive oil production is inhibited by the serum, pores are refined and blemishes will be impeded from returning. People who use the serum will experience no dryness or irritation on their skin since it has a mild formula. Thanks to the combination of ingredients within it, this UNT serum offers both a natural and scientific solution for skin care problems. You are interested in how to clean clogged pores on face and nose to remove whiteheads. But first you have to understand what you are dealing with. Whiteheads are often associated with oily skin, acne prone skin, or combination skin. Whiteheads are very similar to the other often dreaded term; blackheads. However for whiteheads, instead of the skin pore being completely blocked, bacteria within the skin pore causes a small amount of pus to form. The little bit of pus that forms is actually not enough to cause infection or inflammation, but just enough so that you see a bit of pus surface which would be what we all call the whitehead. As you might already know from various sources, the first thing to do in combating whiteheads is to reduce oil production. How do you go about it? The key is to reduce blocked pores. Remember to wash your face frequently, perhaps twice a day and use an exfoliating scrub regularly – ideally at night before sleeping as that would be probably when the most amount of dirt is clogged in your skin pores. There are so many cosmetic products on the market that it has become quite difficult to find the best concealer for whiteheads and pimples. These products play a very important role in hiding unwanted marks and blemishes on your face, giving your face a smooth appearance. However, badly applied concealer can be worse than using none at all. Learning how to choose the right product for your skin type and how to use it effectively are very important skills. Follow our tips and pointers and you will be well on your way to being confident about your skin’s blemish-free appearance. [easyazon-image-link asin=”B00282OHIO” alt=”Guinot Correcteur Traitant Mattifying Concealer for Oily Skin – 0.5 oz” src=”http://ecx.images-amazon.com/images/I/41Unnyk2kVL._SL160_.jpg” align=”right” width=”160″ height=”160″]Not all concealers are formulated equally. There are different types for oily, dry and normal skin and products are available in various textures and shades specifically formulated for a variety of skin tones. 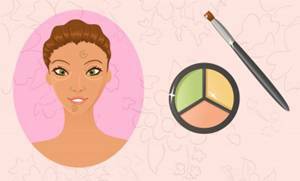 Many people find it difficult to pick exactly the right type and shade so that they have the best concealer that suits their skin type and which will effectively cover pimples and whiteheads. Guinot Correcteur Traitant Mattifying Concealer for Oily Skin – 0.5 oz pictured, is perfect for covering blemishes on oily skin. 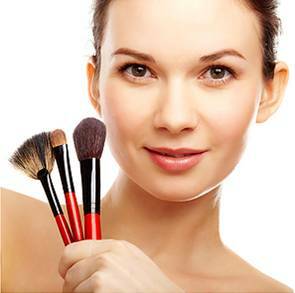 While selecting a concealer, it is very important to understand what type of skin you possess as this will help you in selecting a wand, pot, stick or pencil product. Concealers available in wands form are more suitable on light skins as they provide a dewy and a sheer type of covering to the skin without overpowering the actual tone of the skin. On the other hand, pots and sticks can be ideal choice for darker and olive skin tones that needs to be covered strongly. A pencil type usually proves to be the best one for the smallest touch-ups like, lip lines or pin-sized blemishes. And, when it comes to the dry skin, then cream-based products provide the best coverage for hiding the unwanted marks on your face. Having established which type of product would best suit your needs, you must be wondering how you can check which product will provide the most effective coverage on your skin tone. An easy tip is that you just need to dab a small amount on the vein of your inner wrist from the testers available in the store. If the concealer is able to cover up the vein’s bluish tint, then it would certainly help in camouflaging the unwanted marks on your face. 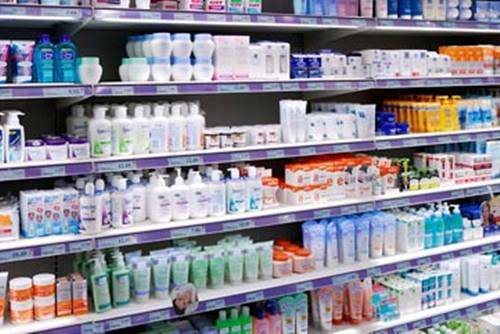 We have all been there, at the store, faced with row upon row of skin care products. There are so many different brands and all at different prices, choosing the right product for your skin can be tricky, frustrating and expensive. I came across this article with some helpful tips. Finding the right skin care products can be a daunting task. These aisles are usually stocked with shelves and shelves of facial care products on one side and lotions and creams on the other. How do you start, can you tell what product is for your body and which is for the face? What’s the easiest way to wade through the hype to get the products that work? In this article we will teach you some key tips for choosing the right products for your skin. choosing skin care products that are right for your skin can be tricky as well as expensive! You can do good intelligence work by inquiring with those you know who have a nice skin complexion. Ask them what has worked for them and what hasn’t. Naturally you can learn a lot about skin care from them, so take some notes. This is the best way to get unbiased information because your friends want to help you. Of course, remember that just because something worked for your neighbor, that doesn’t mean it will work for you. How well your skin matches the person you’re getting information from will make a difference. When you do this, your success is not necessarily guaranteed, but it will be much higher. Another thing to consider is your age. That may seem insulting. Determining the best skin care products depends largely on your age. As we age, our skin changes and has different needs. Someone in their 30s will have different skin needs than those of a teenager. Older skin is usually a lot more sensitive and can’t handle the harshness of skin treatments meant for teens. The products that work for older people won’t be strong enough to really cleanse that of a younger person. There are many great organic skincare products to help improve your skin tone. Yes, all of this about skin care products can be annoying and frustrating because there are so many of them available. It’s also complicating when you realize that there is no perfect product out there. This is because the same product can affect different people in different ways. You’ll do your self a big favor by knowing what kind of skin you have and what it needs to remain healthy. It only makes sense that once you know all of that, then you can easily get the product that suits you the best. Armed with these tips you are better placed to find the products that work for your skin and maybe avoid making an expensive purchase that doesn’t do the job. If whiteheads are a particular problem for you this article on how to choose whiteheads treatment skin care products will help you. This week, I have been researching what people are saying is the best cleanser for whiteheads. I came across some useful answers on Yahoo.com and am sharing my findings with you. 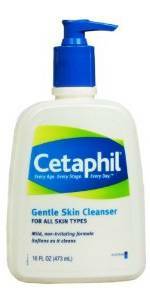 Cetaphil is getting great reviews as a cleanser for whiteheads, blackheads and blemishes and won an award in the Allure Magazine Best of Beauty Awards, 2011. It cleanses skin without drying it out too much and making it feel tight and uncomforatable. It thoroughly cleanses pores of any trace of makeup leaving the skin clean and without the residue that is such a feast for all those acne forming bacteria. The result is that blemishes start to clear and new ones are reduced. It is not a miracle product and you won’t be blemish free in the morning, but for the price, it is well worth a try! Another tip I picked up is to try using the Proactive refining mask product as a spot treatment – by this, I mean, applying a very small amount to an individual blemish rather than using it as an ‘all-over’ mask. The refining mask does not contain the Benzoyl peroxide that can cause drying and irritation but used on a single spot as an overnight treatment, it really does work. Reports are that the blemish is at least significantly reduced or at best, gone almost completely! There is another cleanser which is also getting great reviews and that is the Biore Acne Blemish Fighting Complexion Clearing Ice Cleanser. Use this in conjunction with a gentle non-comedogenic moisturizer to keep your skin hydrated and you should see significant improvements if you use this regularly as a whiteheads treatment. Another great budget cleanser for whiteheads that gets great reviews because it really works is Purpose Gentle Cleansing Wash. This is a liquid cleanser that is both soap and oil free. It is recommended by dermatologists and is great because it does not dry your skin out too much but is really effective at removing all traces of makeup and any excess oil from the skin. If you are looking for an organic cleanser, the one that I have found is getting good reviews is Dr. Hauschka Cleansing Cream. This is really popular and uses herbs and sweet almond oil to make it realy effective on blemishes but also if your skin is mature or maturing (! ), it is has a gentle exfoliating and moisturizing action which really benefits dry skin types – however, it is also good on combination skin. This gets a lot of mentions in articles online and in magazines and despite the price tag is the cleanser chosen by some of the top names in style in the US. If your skin is really oily, a gel cleanser, Clinique Wash Away gets great reviews. However, your skin does need to be pretty oily and make sure you try it out at the makeup counter before buying as it can be a bit too drying for some skins. Do not add an astringent to this combination as it could cause your skin to go into overdrive, trying to replace too much lost oil and end up making the problem worse. Keep your skin moisturized with an oil free product with a high spf (15 or more) and use the Clean and Clear Dual Action Moisturizer at night. Last of all, if you still have some whiteheads or blackheads on your face, don’t cover them with a foundation cream as this can tend to clog pores, instead, check out some of the products from Neutrogena that actually contain anti-acne ingredients so that you can conceal existing spots whilst waiting for them to clear without causing any new ones to form. As you can see from my research, there is no single answer to what is the best cleanser for whiteheads, it really depends on your skin type. The video below is quite helpful for determining exactly what your skin type is. One thing that has come out of my research though is that you definitely don’t need to spend a fortune to get great results. Many budget priced items came out with flying colours in reviewers comments. If you have a favourite that we haven’t mentioned, why not leave a comment below and tell us about it! If you have whiteheads on face, the first step in dealing with them is using a really good cleanser. You need one that will cleanse your facial skin and remove excess oils without stripping them all and sending your sebaceous glands (oil producing glands) into ‘overdrive’ to correct the dryness that you have induced by using a facial product that is too harsh. You also need a product that is not just going to clean the surface of your skin, you need one that is going to get right down into those pores and remove the sebum and dead skin cells which, in combination cause the problems of whiteheads, blackheads and pimples by attracting in those acne causing bacteria and setting up infection and inflammation. I have been scouring the internet this week for the most popular and most effective cleansers and the one I am going to be talking about is one that is so cheap you are going to love it! 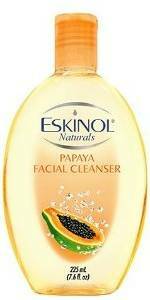 I found this natural facial cleanser in lemon, orange, cucumber, calamansi, avocado, papaya and ‘classic’ varieties – all of which are available at a similar, low price. The classic version is also available with exfoliating grains. I was particularly looking for a product to deal with whiteheads on face, but these products also promise to help prevent pimples and blackheads too. If you suffer from skin blemishes caused by acne, including blackheads, whiteheads and pimples, you could treat your skin at home using a home phototherapy system that is effective at killing acne bacteria without causing the side effects associated with some acne medications. Many people suffering from skin acne problems, are turning to home phototherapy as a treatment option for the condition. Acne is a skin condition associated with sebaceous glands. Approximately 80% of people are affected at some time in their life. It starts in adolescence when hormonal changes happen in the body. Sebaceous glands become enlarged, but the opening of the glands become narrowed and sebum can become trapped. 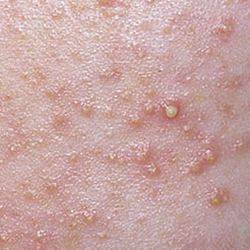 This can lead to bacterial growth of Propionibacterium acnes (P. acnes), the acne causing bacteria. Though blemishes or lesions caused by whitheads and pimples will heal over time, they leave unsightly scar marks on the skin. Different types of treatment are available for acne, but many patients do not respond to the required extent and may develop side effects. Medications meant for topical application may cause skin irritation. Moreover, 40% of the acne bacteria are not sensitive to antibiotics used orally and in topical treatments. It is a known fact that exposure to sunlight can reduce acne due to the antibacterial effect of the ultraviolet light spectrum. Many people notice that their skin improves during the summer months but, it is not possible to use this as a treatment as long-term exposure to sunlight can damage the skin. However, this led to the findings that some of the visible violet light present in sunlight, in the range 415 – 430 nm, effectively kills P. acnes by activating porphyrin. In blue light therapy for acne treatment, a concentrated stream of blue light is used to treat mild and moderate acne conditions. It is a safe and painless acne treatment method. The method is considered safe as a few porphyrins are naturally found in the skin. FDA has approved the acne light treatment using some lightwave systems. Overall improvements have been seen in around 80% of the patients over a period of three months – although it should be pointed out that in approximately 10% of the users there is very little or no improvement at all. The treatment is given with the blue light only or in combination with application of a topical solution. In blue light therapy for acne treatment, the patients can lie or sit down and the light source is positioned close to the patient’s face for 20 to 30 minutes (although this time span may vary according to the equipment used). Generally, treatments sessions are scheduled weekly. The number of treatments required will depend on severity of the condition. Considerable improvements in skin condition can be seen after 2 to 4 weeks of treatment. Typically, blue light therapy for acne treatment will cost around $40 per sitting. A course of treatment may cost up to $1000 – $1500. Treat your blemishes with home phototherapy! Get a Big Discount on the ANSR Beam and Charger from Amazon! A cheaper alternative is home phototherapy using ANSR Acne Care Starter Kit which comes with a handheld phototherapy device and acne topical. ANSR is a simple, three-step program that can be used conveniently at home. Many people from a breakout of pimples or whiteheads after waxing hair removal; this is often caused by either an ingrown hair or because the waxing has had the effect of a strong exfoliation, removing the topmost layer of your skin along with the hairs. The effect of this exfoliation combined with the pore opening effects of using the hot wax for the treatment is to cause your pores to open and leaves them more prone to bacterial infection which will cause the pimples and whiteheads. These can range in size and severity from very tiny bumps under the skin to quite large blemishes. Preparation before waxing is a three step procedure. Before you do anything, ensure that your hands and fingernails are thoroughly clean. Exfoliate. Using a gentle exfoliating product will ensure that your skin is free from oil and cosmetics and that any dead, surface skin cells have been removed. Use an antimicrobial cleanser specifically for pre-waxing. Gigi, for example make these. Minimise the chances of any infection by using a clean spatula or applicator every time you need to get more wax from the pot. If you are using strips, this is not an issue. Thoroughly cleanse your skin, apply either witch hazel (a natural antiseptic) or aloe vera. Apply with a clean cotton wool pad. This will help to close the pores and reduce any bacteria on the skin and minimise the chances of any bacteria entering the pores and causing an infection resulting in pimples or whiteheads after waxing. Avoid the temptation to touch your skin as this is the number one way of transferring bacteria and pore clogging skin oils back onto your face. If you are wondering what causes whiteheads on chin because you have a crop of them affecting just that spot – this is exactly the position I was in recently. I think I may have discovered at least one possible reason for these, stick with me! I am going to explain – and also show you the recommended products for fixing this problem for only a few dollars! I went online and was reading some questions and answers on Yahoo, whilst doing more research on what causes whiteheads for this site. I came across a question by a lovely lady who said that up until recently she had really good skin, however this all changed back in the summer when despite not making any changes to her normal skin care routine, her chin suddenly erupted in clusters of whiteheads. It seemed like the one place she got them the most was on the right side of the chin and again occasionally on her forehead. This lady said that she had tried popping them and found that they were still noticeable. She was using Olay blackhead remover which was effective on the blackheads but not the whiteheads. She had even tried eliminating the bacteria using hydrogen peroxide (rather harsh I think, not something I would recommend)! Anyway, in desperation she asked on Yahoo answers to try to find out what causes whiteheads and in particular this crop of them on her chin – because she said that she didn’t have the money to spend out on beautician treatments. She got a great answer about some inexpensive products to use that are really effective – but before I come to this, I wanted to say that this lady’s experience and what she said about where she got the blemishes set me thinking that I believe I know what causes whiteheads in these areas for this lady. The fact that this lady got the whiteheads on one area on one side of her chin and another patch on her forehead got me thinking that what triggered them in her case was quite simply touching her face with her fingertips. I know I am really guilty of holding my phone to the left ear with my pen in my right hand and then whilst I am listening and thinking, I have this really bad habit of touching my chin with the side of my index finger and the side of my thumb. It is a habit I am trying to break and stop myself every time I catch myself doing it because this is causing my skin to break out right there too! Anyway, that’s a little tip from me, but as I am always looking for new products that are not only effective, but also inexpensive, I thought I would give the products recommended a try as this lady bought them and was really pleased with them. This is a great product from St Ives which is suitable for both men and women and is designed to treat existing acne blemishes and help prevent future ones with its formulation of natural green tea and Salicylic acid. Anyways, this St Ives Green Tea Cleanser not only reduces breakouts and deals with whiteheads but it is also dermatologist tested to be hypoallergenic, non-comedogenic (will not clog pores) and is totally oil free. I also like the fact that it contains none of the ‘nasties’ parabens and phthalates. All you have to do to is use this every day by applying it to your face and neck using your fingertips and rinse off. Make sure you don’t get it in your eyes though (if you do, flush with loads of cool water). Acne Treatments that will help to get rid of blemishes can be expensive and they also contain strong medication in many cases. This is why many people prefer trying a homemade treatment for whiteheads and blackheads first. Some people prefer to use more natural remedies and this is where home remedies for acne blemishes can be very useful. Here are some tips for treatments to help you remove whiteheads using ingredients you are almost certain to have at home. You could try these for yourself this evening and see an improvement in your skin by the morning! My favourite treatment for whiteheads is to make a simple salt scrub using ordinary milk from the fridge, lemon juice and couple of teaspoons of table salt. Just put the salt into a shallow bowl, squeeze on about a teaspoon of fresh lemon juice and mix with a little milk to make a wash that can be applied to the skin with cotton wool. This helps to deep cleanse pores, soak up excess oil and rid your skin of blemishes. It also leaves skin feeling lovely and soft. Effective Treatment For Whiteheads From Your Garden! honey is a great skin treatment, check out our honey and oatmeal treatment for whiteheads below! Whitehead Pimples respond well to many herbal treatments. Basil is a herb that many of us use in cooking, just make a tea using dried basil leaves and allow this to cool. You will need about three teaspoons of the dried herb to make one cup of the tea which you do not drink! You need to apply this to your face with cotton wool and allow it to dry whilst you relax for about twenty minutes. Rinse off with tepid water and your blemishes should be considerably better. If you have got whiteheads on nose , you will probably already know that they are a type of acne that can often appear on the facial skin, especially in the T zone area. They occur due to the over production of sebum or oil in your body. This leads to the blockage of pores on skin with a build up of bacteria, dead skin cells and sebum in these pores. This is the cause of the formation of white spots on the surface of skin. They can appear on the skin of both girls and boys as hormonal problems may be one of the major causes of excessive production of oil or sebum – although this may also occur due to some illness, intake of some medicines, menstruation and stress. Do not prick or ‘pop’ them, unless you know how to use the lancet extractor tool and you are scrupulous about hygiene. Avoid harsh treatments with abrasive exfoliants or strong chemical agents. Sleeping with makeup must be strictly avoided. Avoid fatty and refined foods where possible and increase your intake of fresh fruits and vegetables. The skin on the nose is highly sensitive and it is not easy to treat blemishes on this area. The treatment is a time-consuming process so prevention is the better way. You can prevent whiteheads on nose by applying a regular daily skincare routine. Use non-comedogenic products that will not block your pores, do not mix skin treatment products with different acne medications such as salicylic acid or benzoyl peroxide as this may cause irritation, flaking and peeling. There are many options for the treatment of acne whiteheads, but it is up to you to choose a product that fits your skin’s needs. Many people find that one of the best products for improving the quality of the skin and reducing the ability for these pimples to develop is the use of a line of products called Skintactix. This product will provide you with a number of key benefits that you can often count on to provide you with improved skin just by using it on a regular basis to do so. You should know several things about these products. Skintactix sells several kits that provide solutions for how to get rid of whiteheads, whatever your skin type. These kits provide you with everything you need to get rid of the buildup of acne on the skin, in particular the treatment of whiteheads. For example, you may want to choose an antibacterial cleanser from the company. This product will flush away the bacteria that are at the heart of the cause of the development of the pimples. You can also use the Skintactix Blackhead Dissolver (link takes you to the product review on our sister site, How To Get Rid of Blackheads). This product will also work very easily on whiteheads since the two are very similar in the treatment they need. This product will dissolve the pimples within three weeks. A mostly natural plant extract product that works as an anti-inflammatory product. This helps to ensure the skin’s irritation from the bacteria remains under control. This product works for psoriasis and eczema, too.